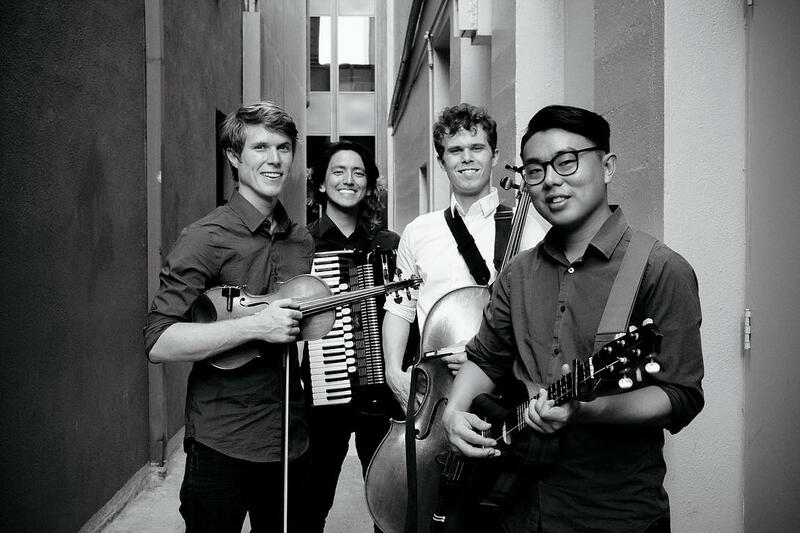 Streetlight Cadence, the four-member alternative folk-pop group that got its start on the streets of Waikīkī, returns to HPR’s Atherton Studio on Saturday, June 11, to introduce songs from their new release Rarities. Long-time fans and new converts to this group's unconventional instrumentation, refreshing lyrics, and sweet vocals can also expect to hear some of the old favorites, as well as tales of the band's recent adventures in Los Angeles. The Atherton concert is part of their planned three-week tour across the islands. Reservations for Streetlight’s June 11th concert in the Atherton may be made online at www.hprtickets.org or by calling the station (955-8821) during regular business hours. Tickets are $30 general, $25 for HPR members, and $15 for students with ID; plus online service charge. The Atherton Studio is located at Hawaiʻi Public Radio, 738 Kāheka Street. Doors open at 7:00 p.m.; music begins at 7:30 p.m. CDs and other Streetlight merchandise will be available for purchase on this evening.